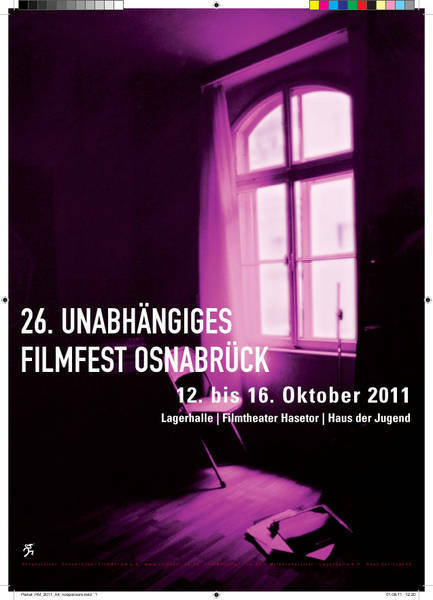 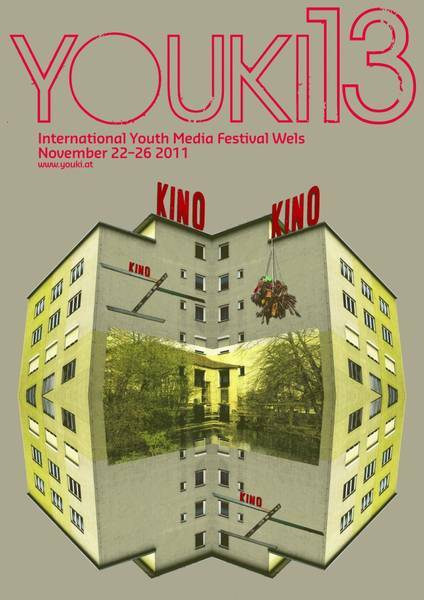 Performance in Regensburg, Germany during the International Short Film Week Regensburg. 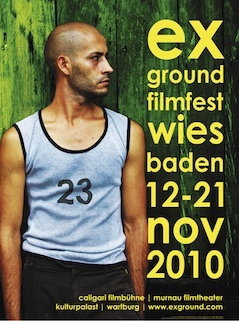 Performance in Marseille, France as part of the Project Fokus Hamburg of the Goethe-Instituts Marseille. 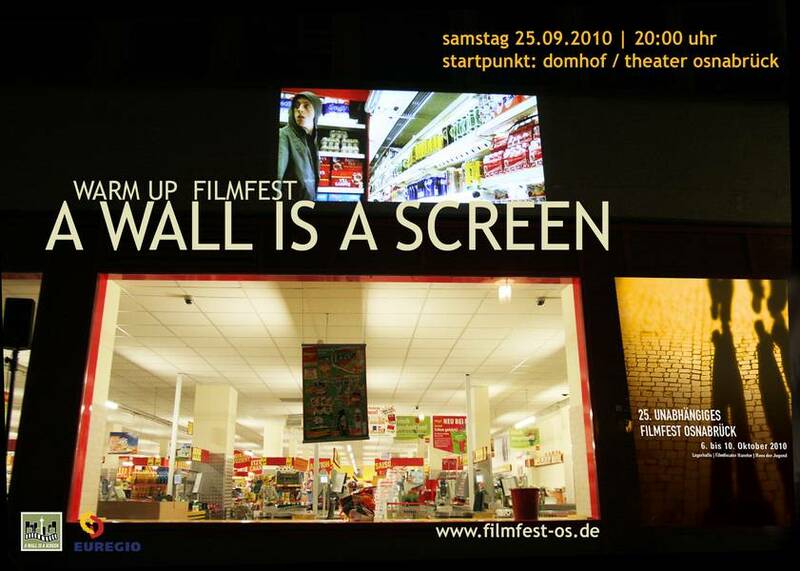 Performance in Weimar, Germany during the Genius Loci Festivals. 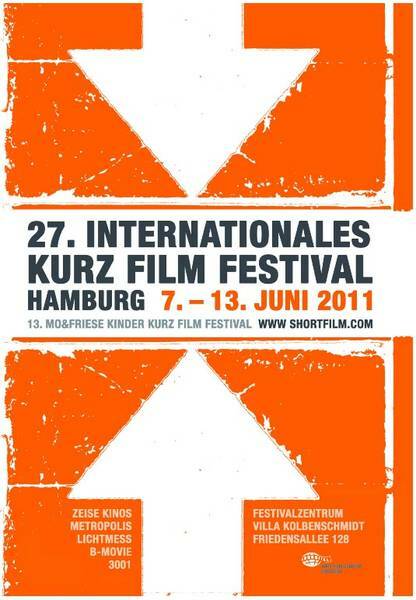 Performance in Hamburg, Germany during the 34th Hamburg International Short Film Festival. 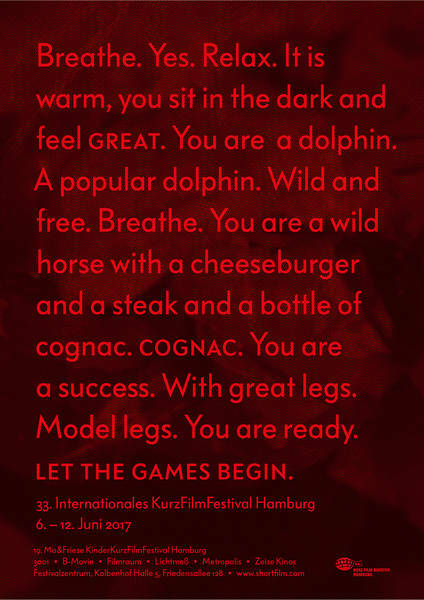 Performance in Hamburg-Harburg, Germany as part of the 25th anniversary of the Tutech Innovations GmbH and as a warm-up for the the 34th Hamburg International Short Film Festival. 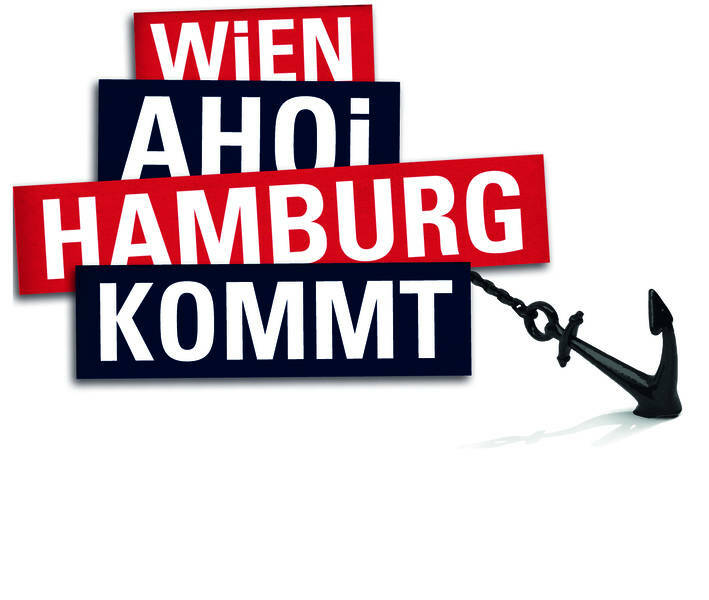 November 18th, Start: 21:00 h in front of the Hessischer Landtag / Grabenstr. 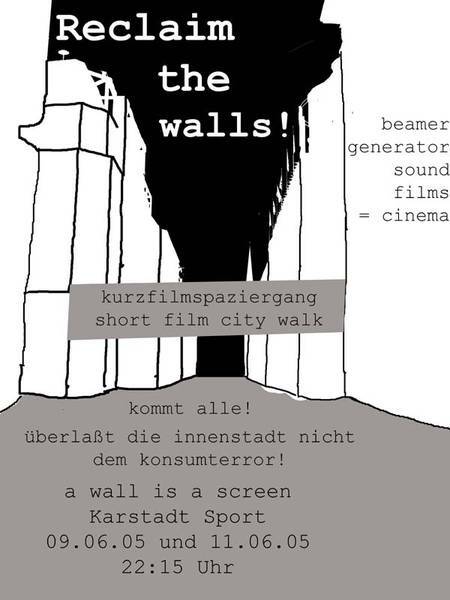 Performance in Kassel, Germany during the Kassel Documentary Film and Video Festival. 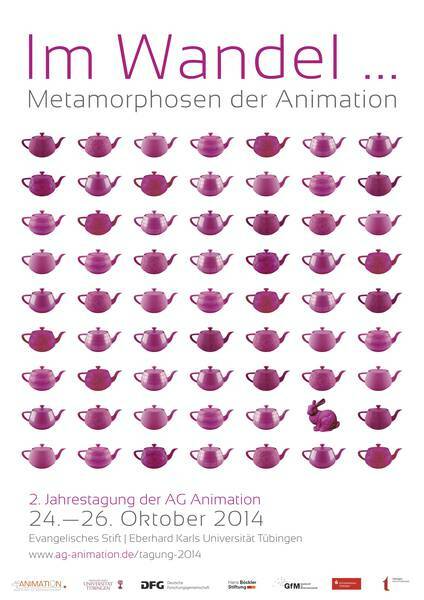 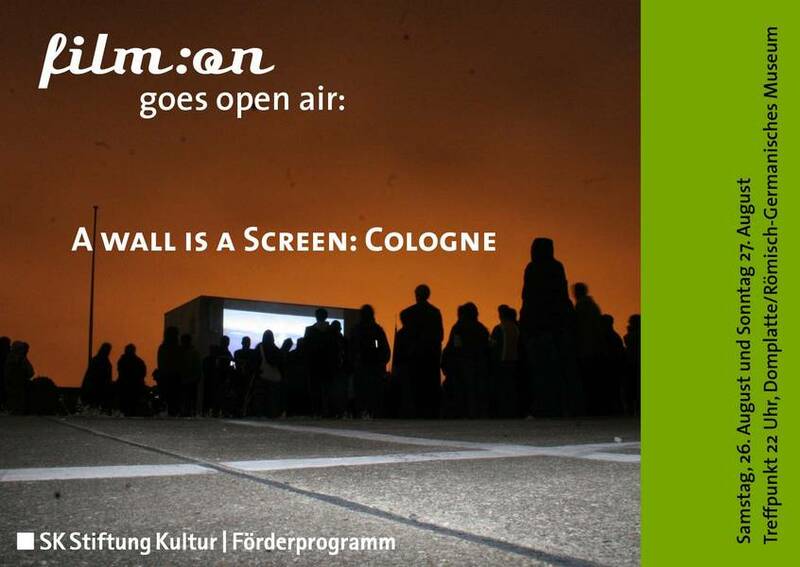 Presented in cooperation with the Goethe Institut Toronto. 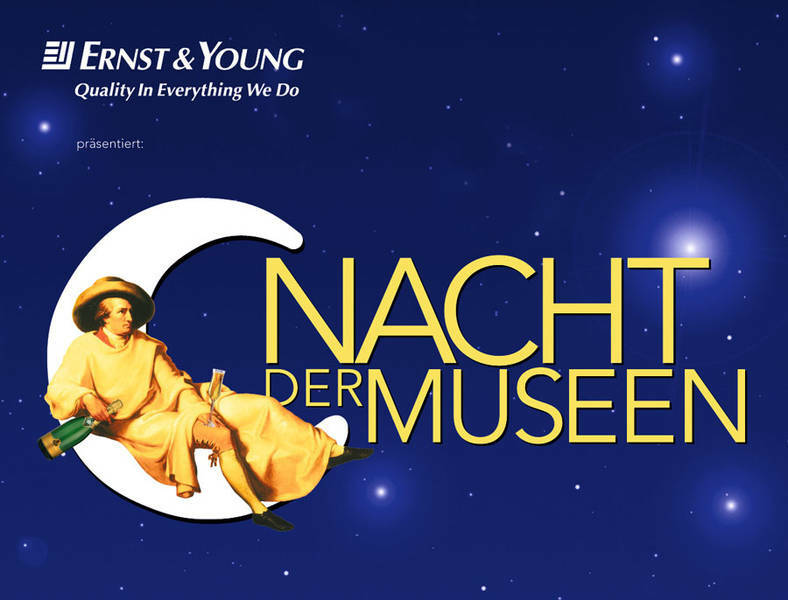 Thank you to Lufthansa for flying us! 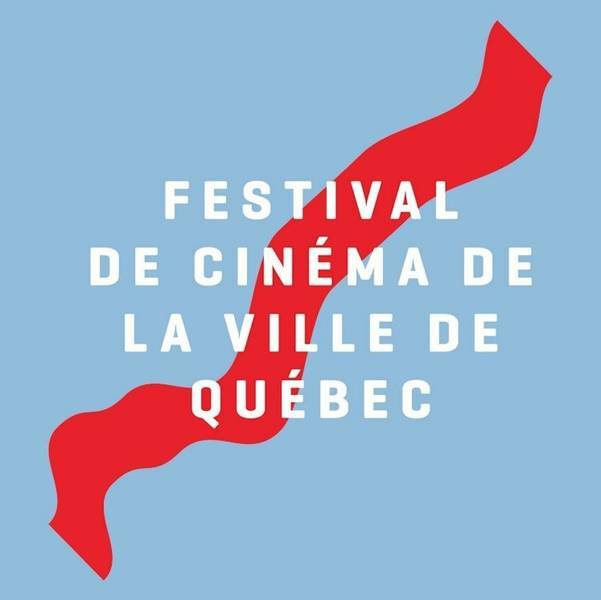 Performance in Quebec, Canada during the Festival de Cinéma de la Ville de Québec. 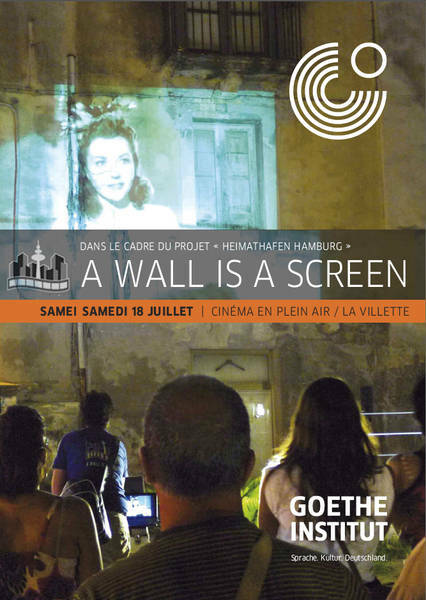 A Wall is a Screen is supported by the Goethe Institut and is part of "Germany@Canada 2017 - Partners from Immigration to Innovation", a special cultural program presented by the Goethe-Institut and the German Embassy highlighting the German-Canadian friendship in honour of Canada's sesquicentennial year. 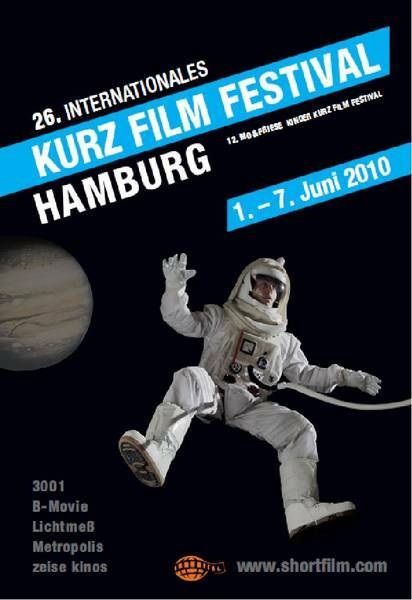 Performance during the "Brühler Sommer" in Brühl, Germany in cooperation with Zoom Kino e.V. 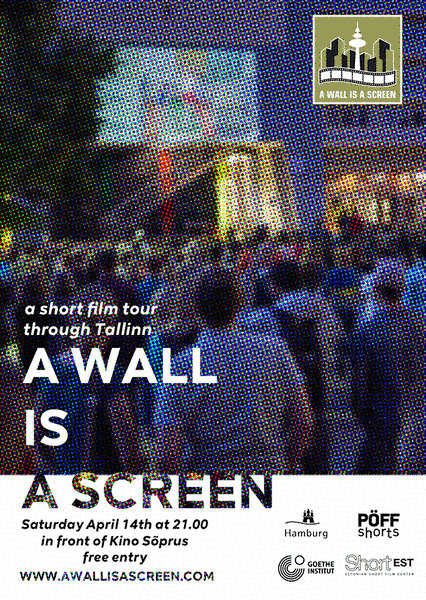 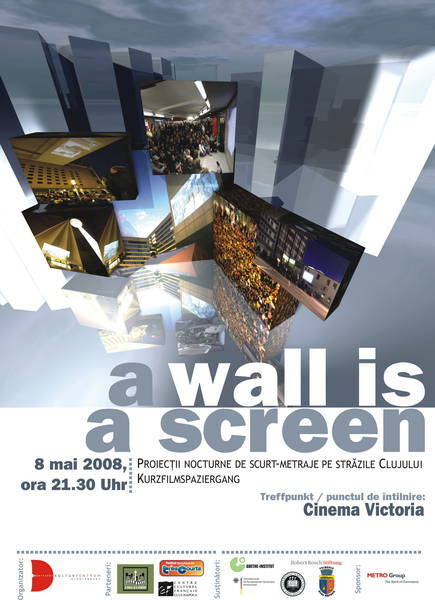 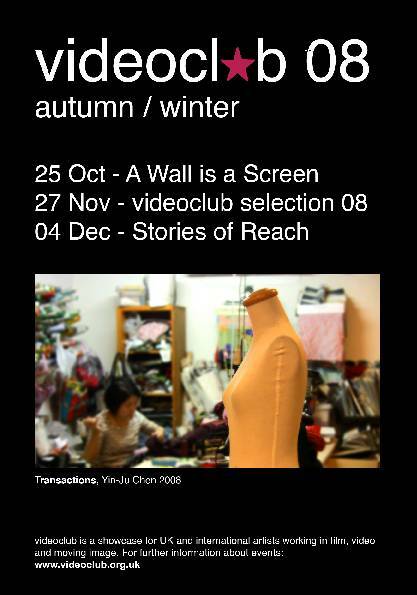 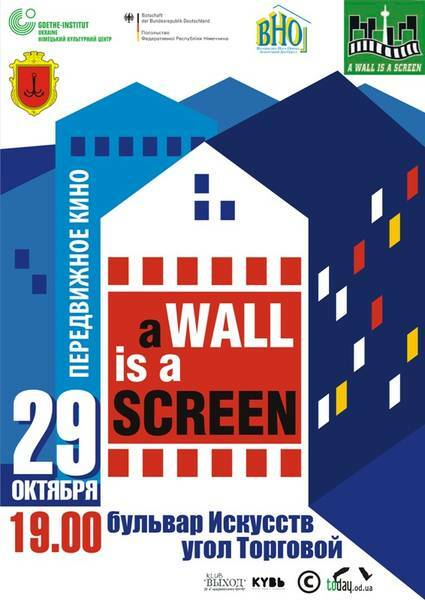 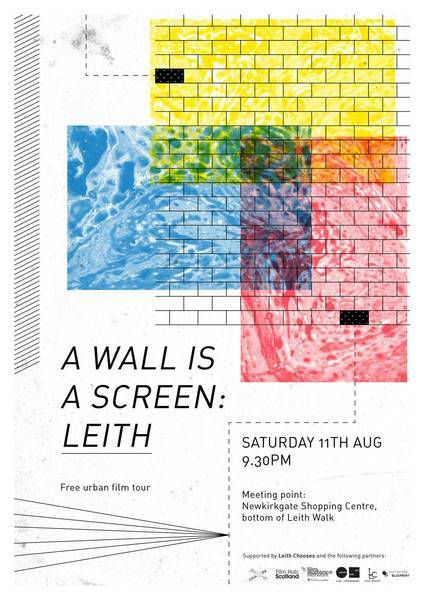 A Wall is a Screen: The Exhibition. 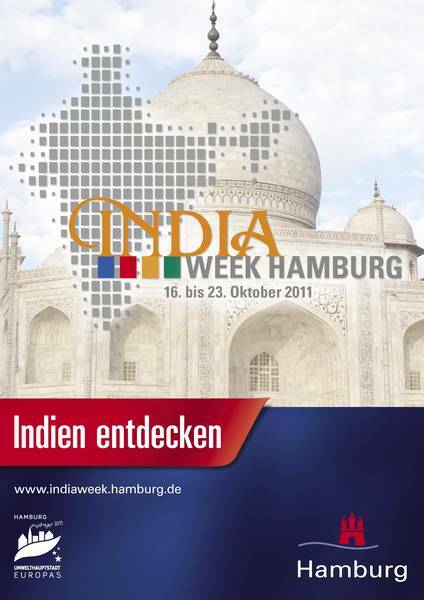 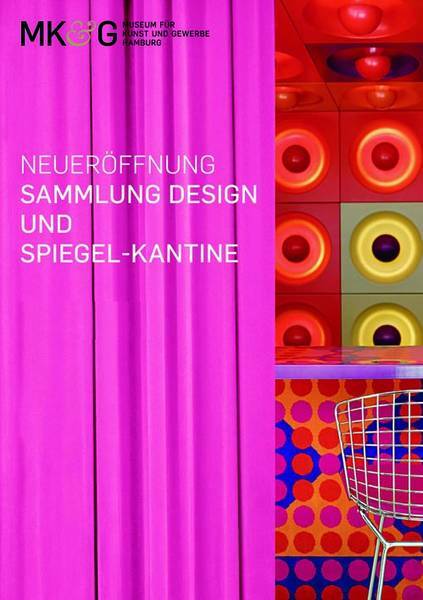 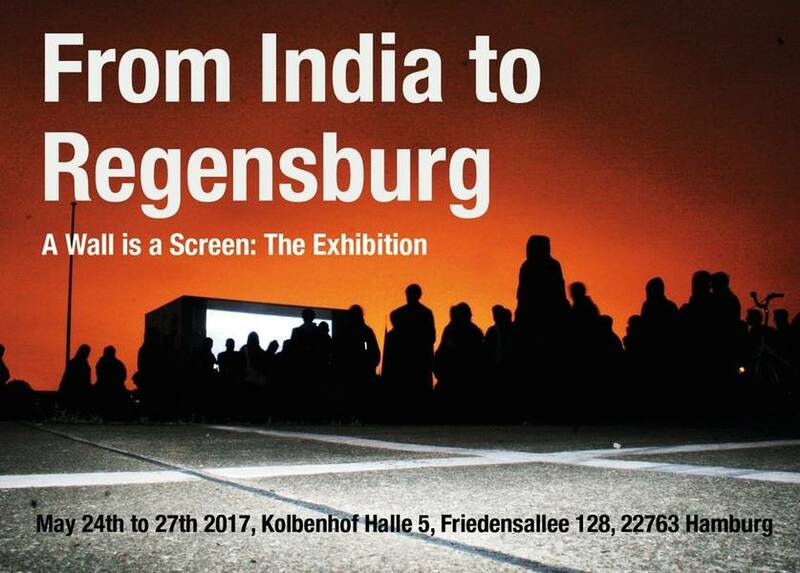 "From India to Regensburg"
Performance in Mannheim, Germany in cooperation with the Baukompetenzzentrum, the German Architects Association and MEA Maison européenne de l'architecture. 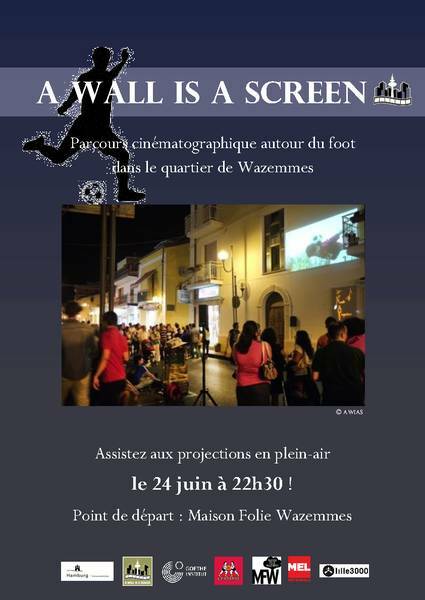 A Wall is a Screen: Allez les court-métrages! 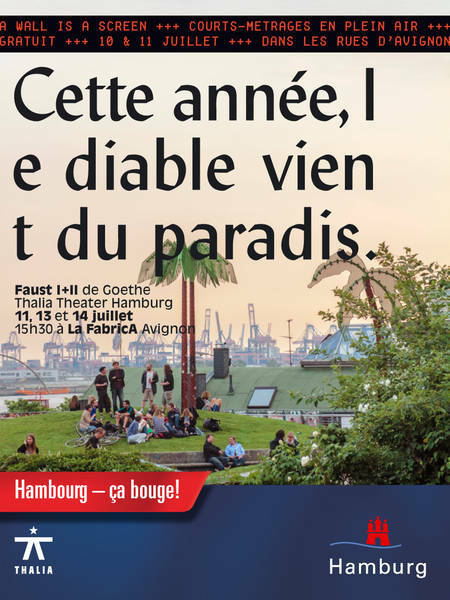 Performance in Paris, France during the EURO 2016 in cooperation with the Goethe Institut Paris at the Parc de la Villette. 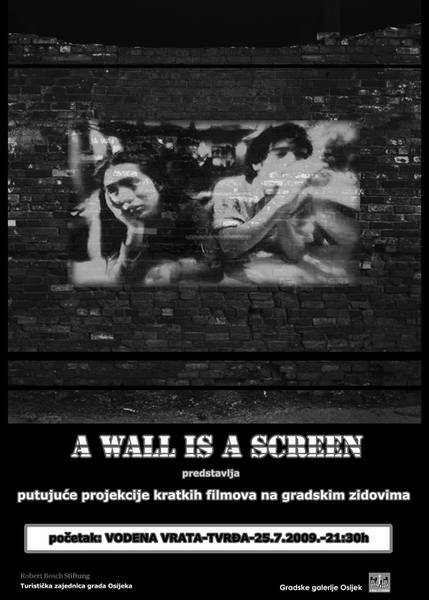 A Wall is a Screen: Allez les court-métrages! 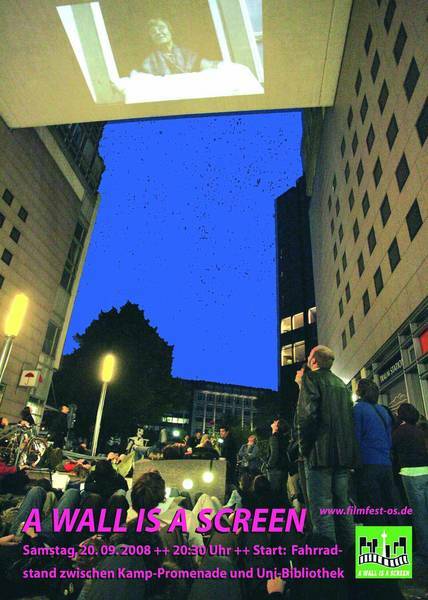 Performance in Lyon, France during the EURO 2016 in cooperation with the Goethe Institut Lyon. 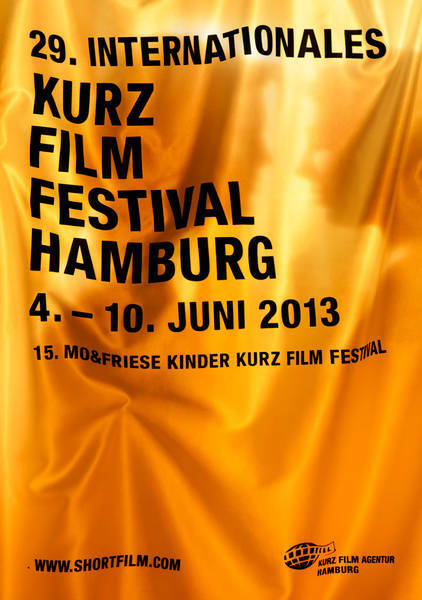 Performance for the re-opening of the newly renovated Hamburger Kunsthalle in Hamburg, Germany. 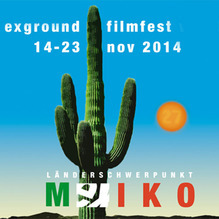 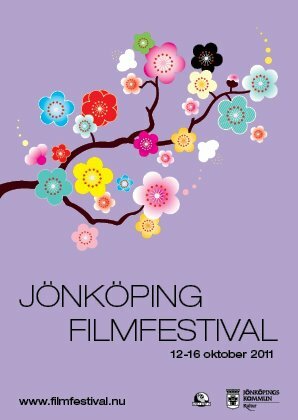 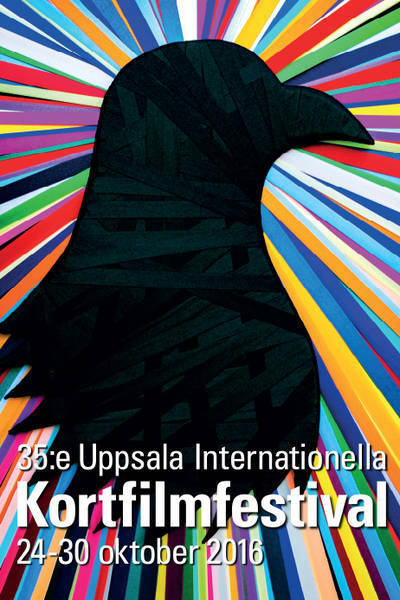 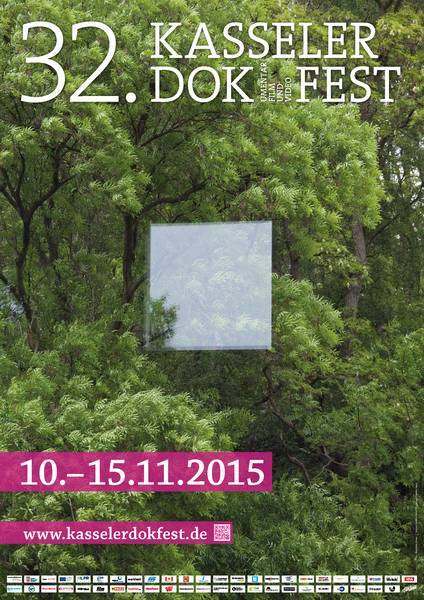 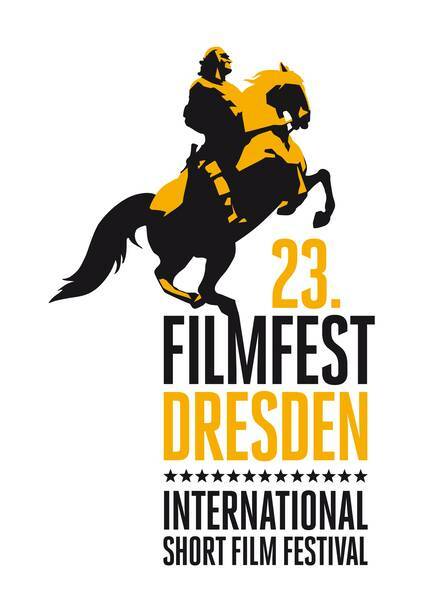 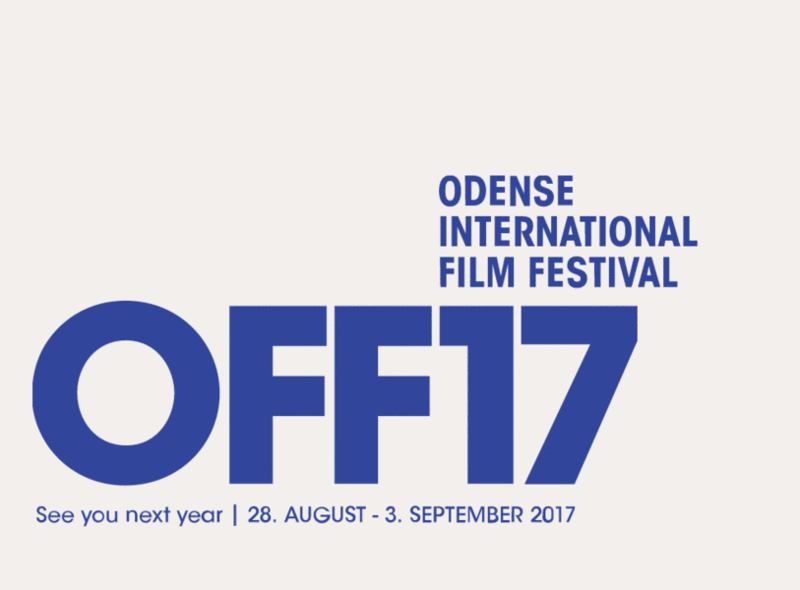 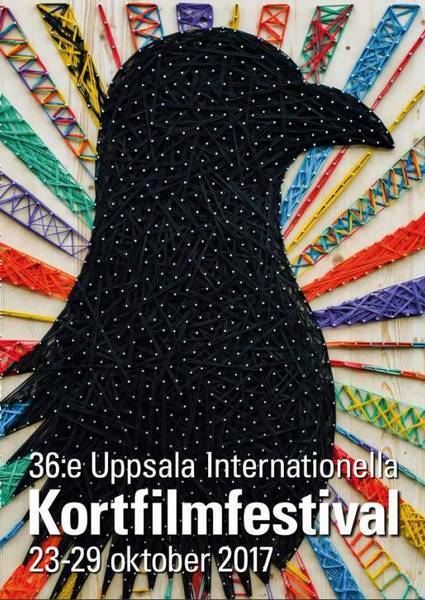 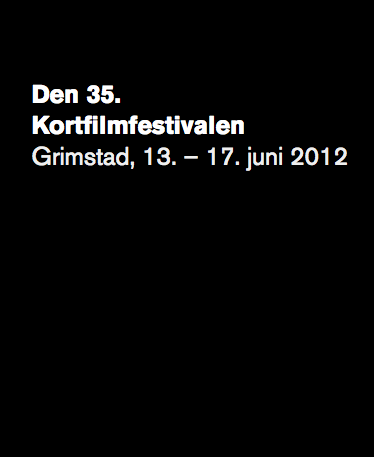 as a warm up event for the 25th Filmkunstfest Mecklenburg-Vorpommern. 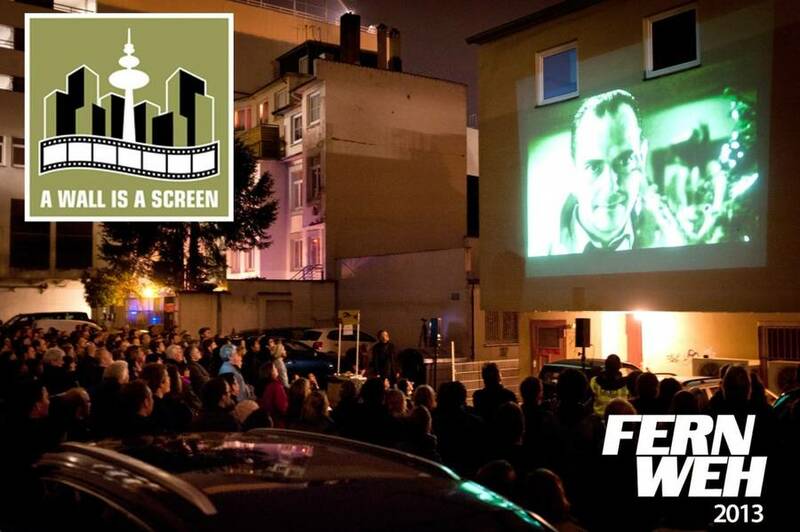 Performance in Clermont-Ferrand, France during the Clermont-Ferrand Short Film Festival celebrating the 10th anniversayr of the "Soirée Allemande"
in cooperation with Kulturzentrum Brakula, Bramfelder Kulturladen e.V. 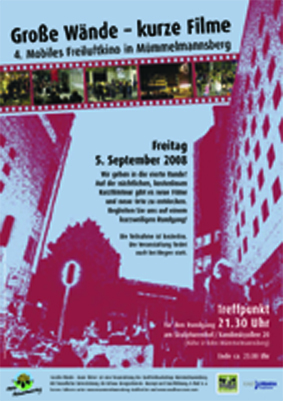 Performance in Tubingen, Germany during the annual conference of the German Animation Association, hosted and organized by the Center for Interdisciplinary Media Research of the Eberhard Karls University Tubingen. 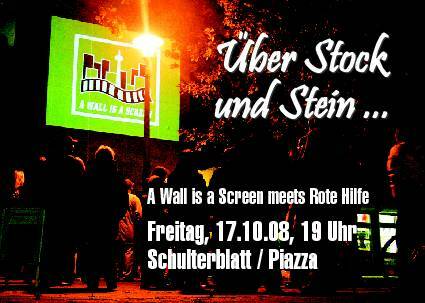 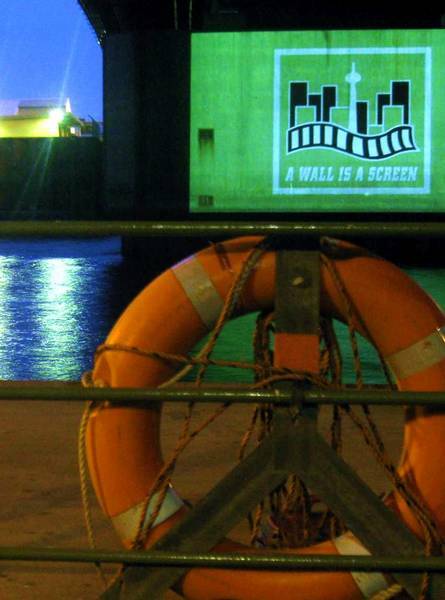 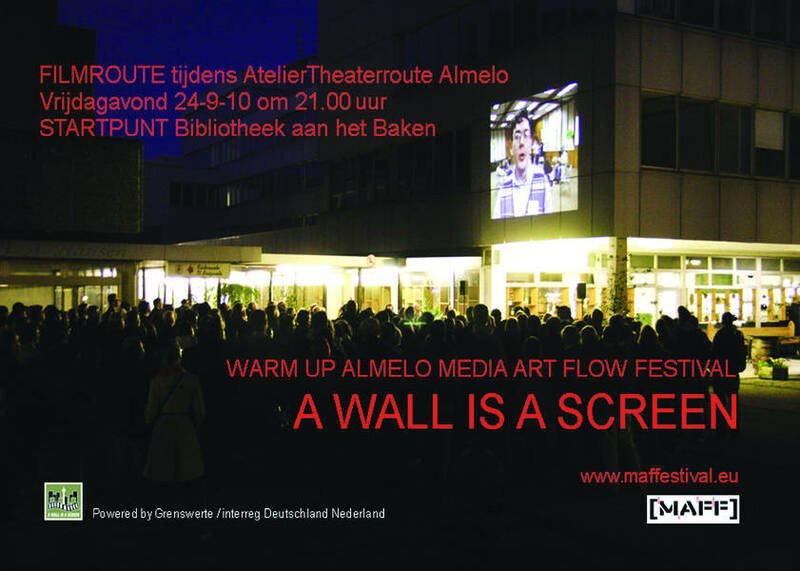 A Wall is a Screen is taking a cruise through Hamburgs harbour, projecting films on ships, docks and waterfronts. 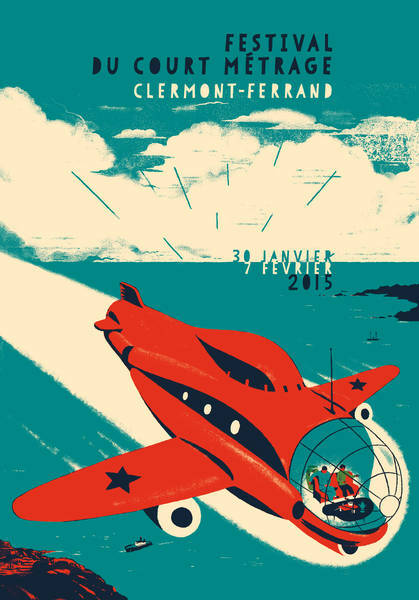 All tours are completely SOLD OUT. 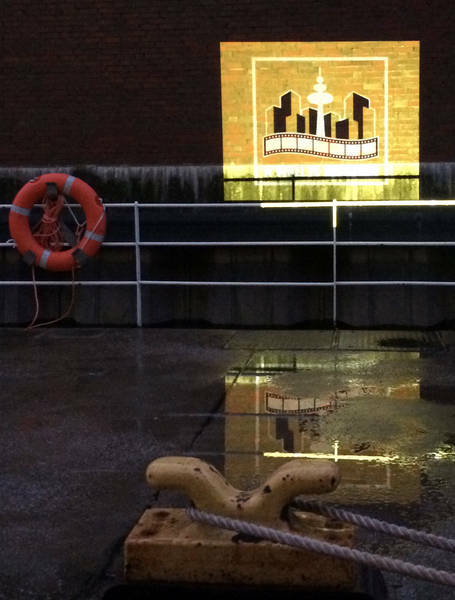 There will be NO tickets available at the dock. 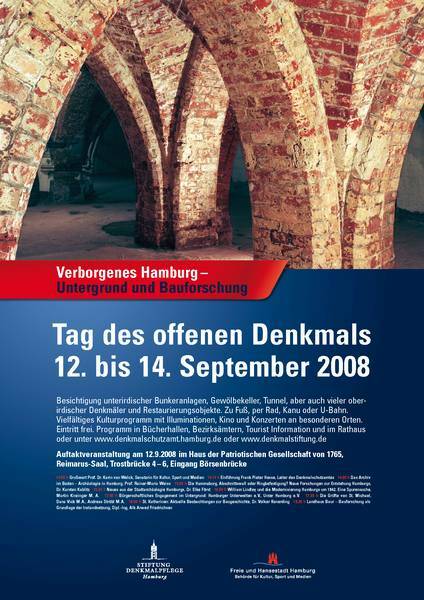 Supported by the Hamburgische Kulturstiftung and in cooperation with Maritime Circle Line. 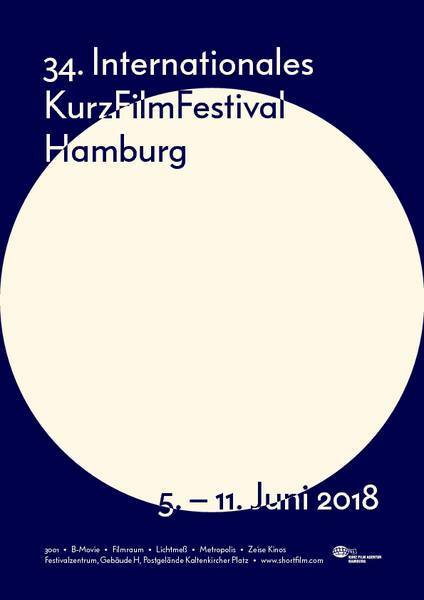 Performance at the Klappe auf! 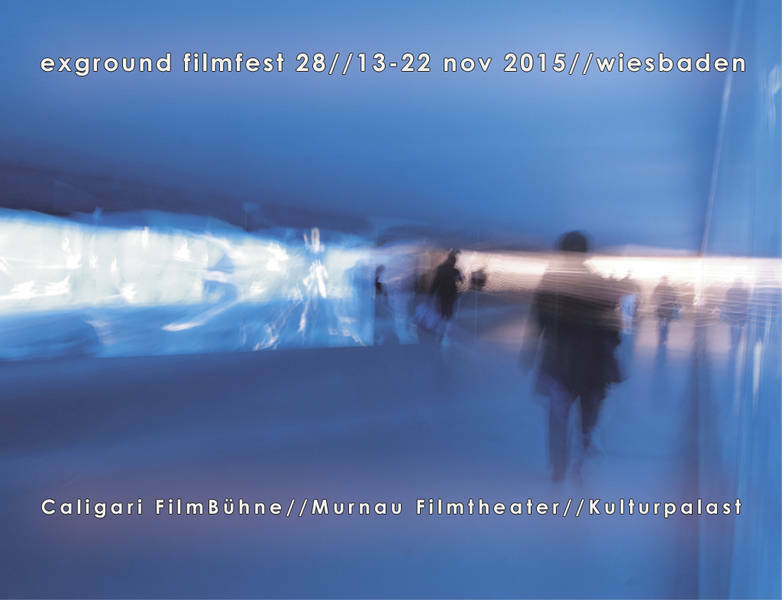 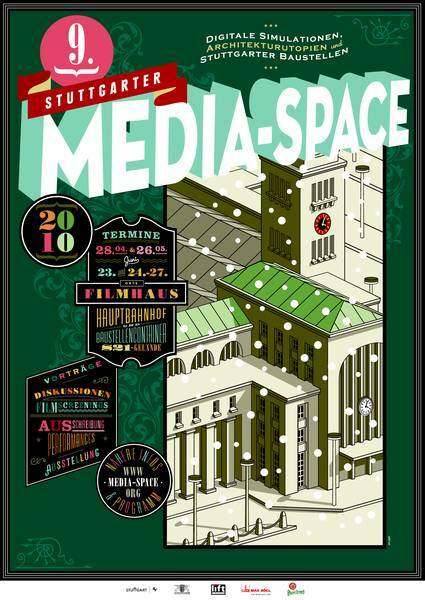 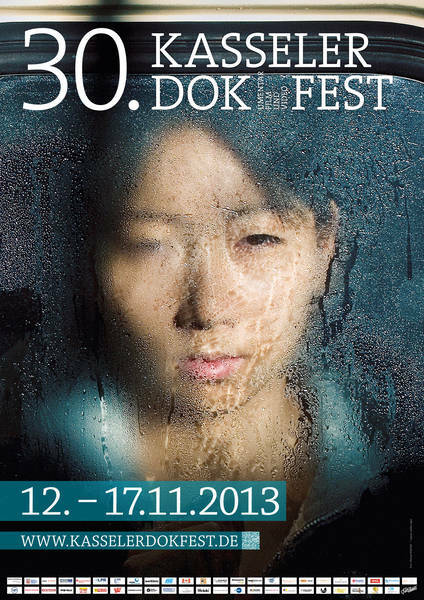 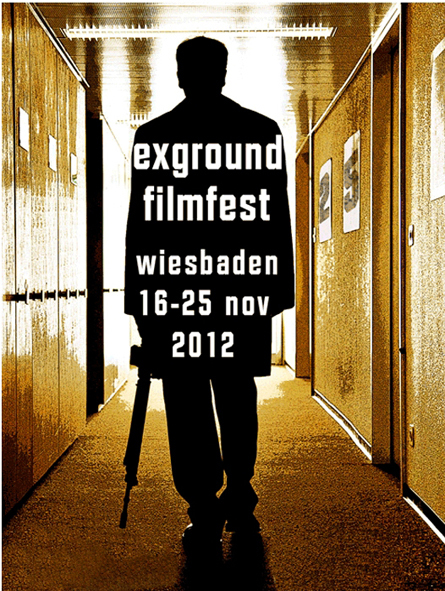 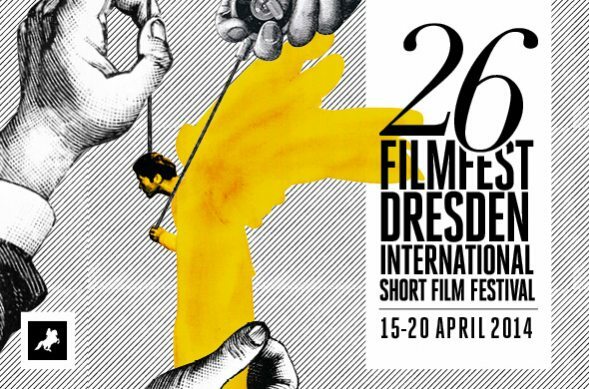 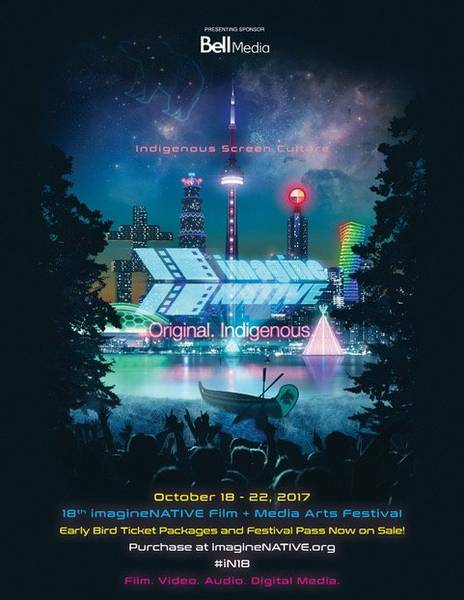 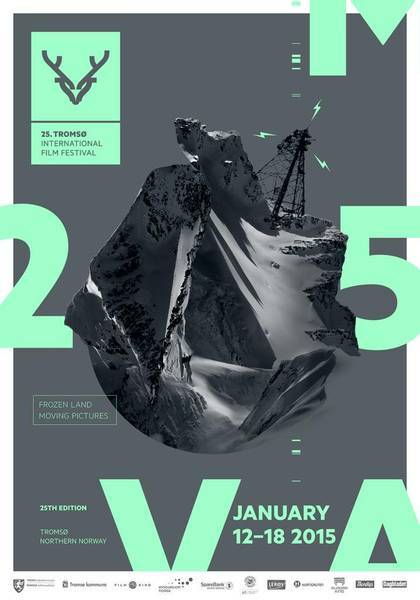 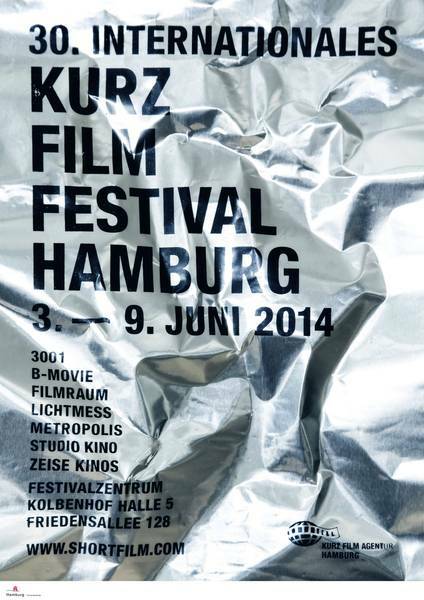 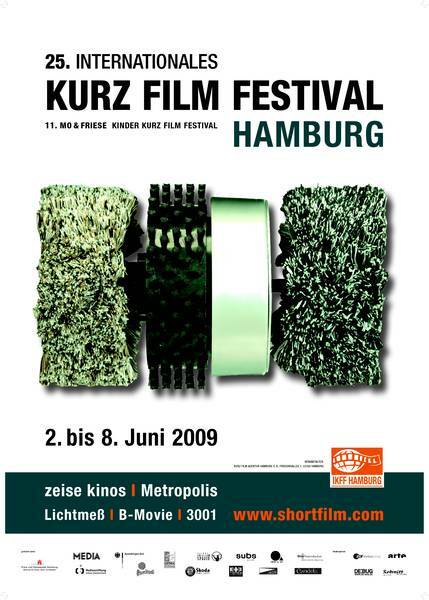 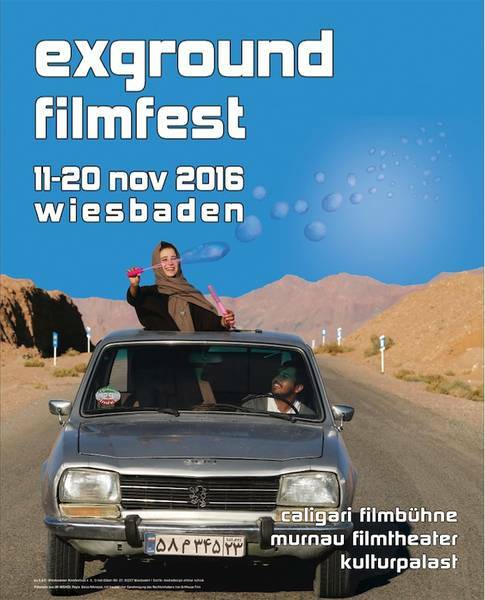 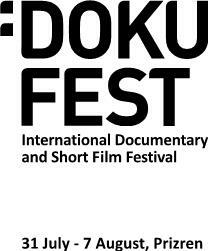 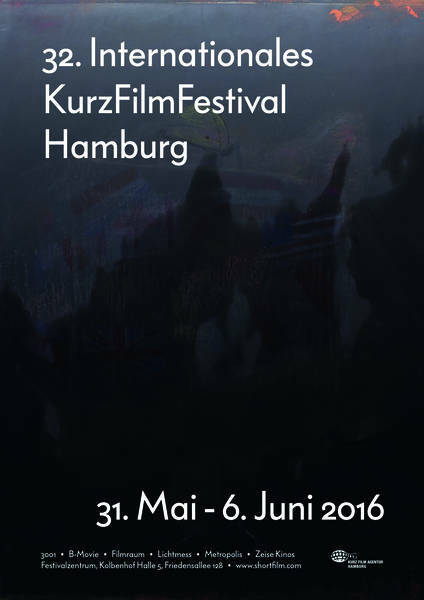 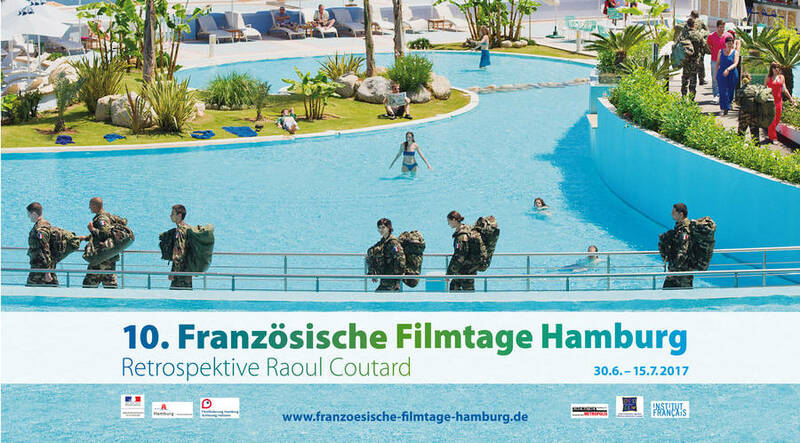 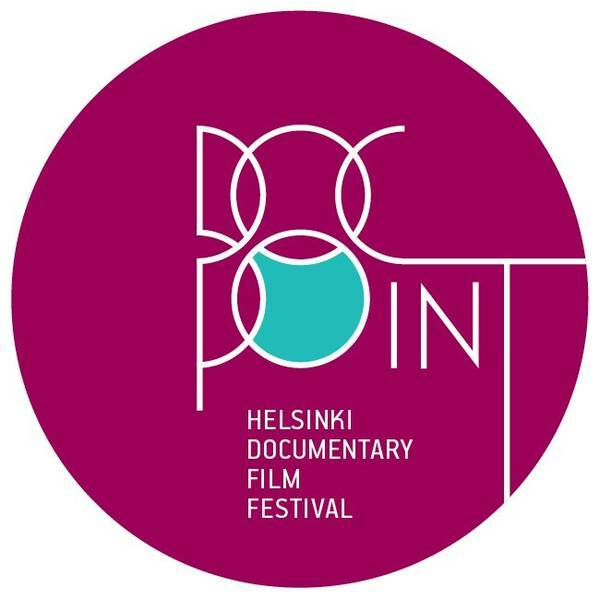 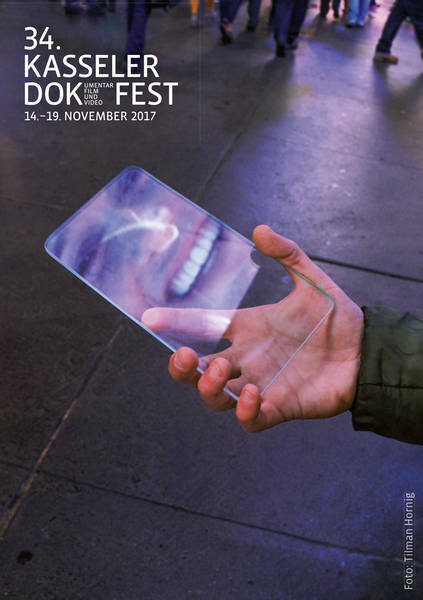 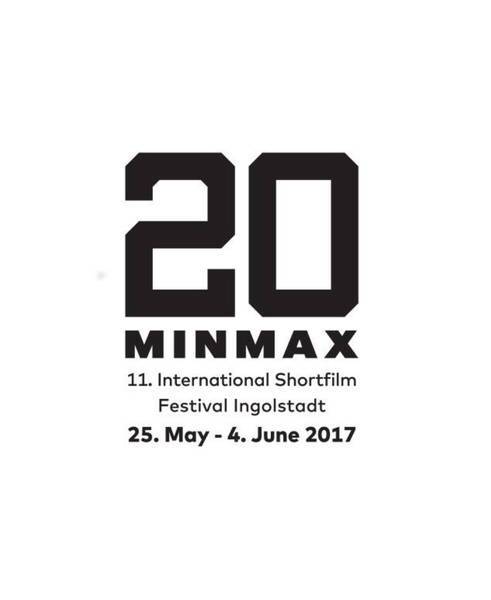 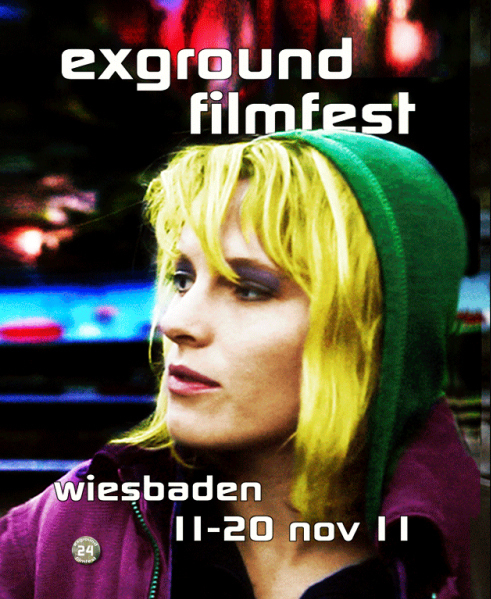 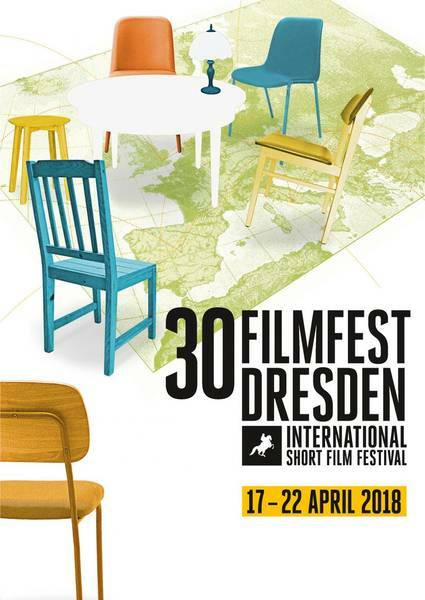 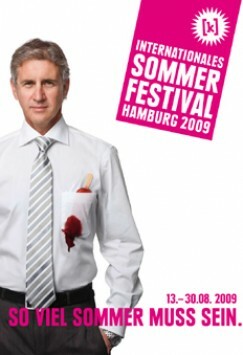 Short Film Festival in Hamburg, Germany. 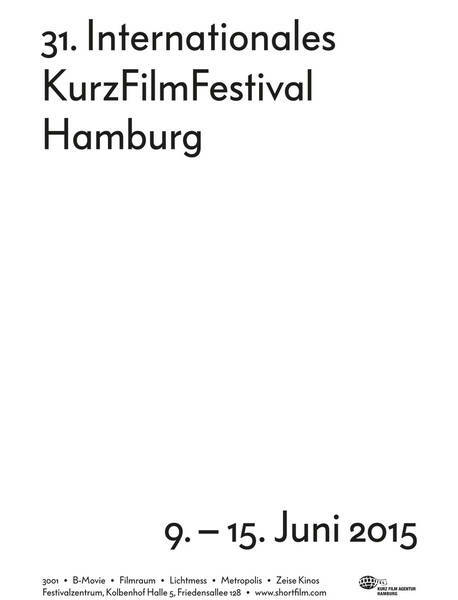 Start July 11th: 21:45 h, tba. 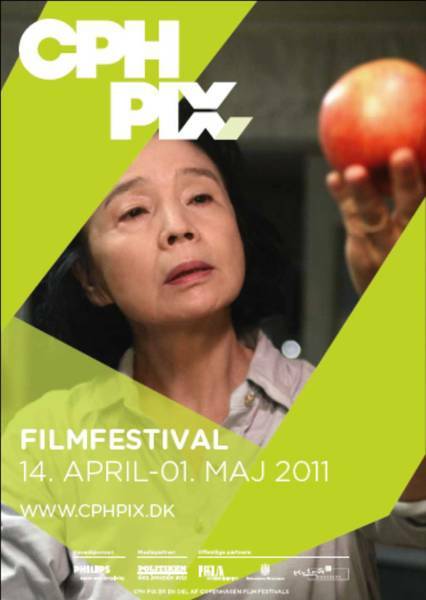 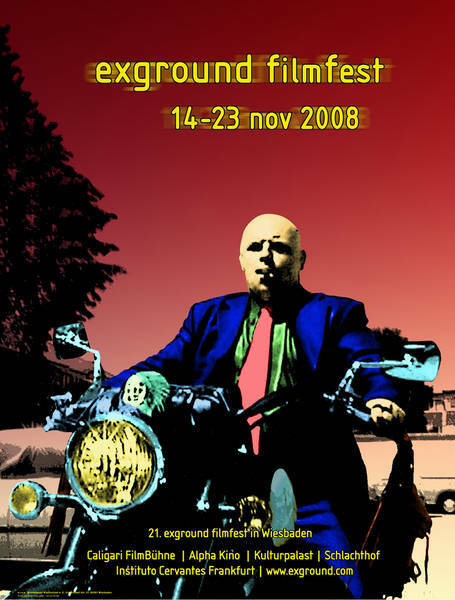 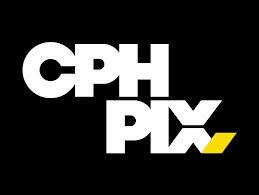 Performance during the CPH PIX festival in Copenhagen, Denmark. 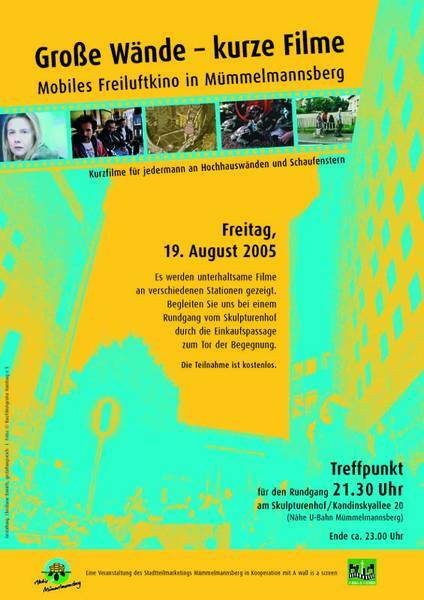 Performance in Hamburg, Germany in cooperation with the MobileMovie Schoolproject. 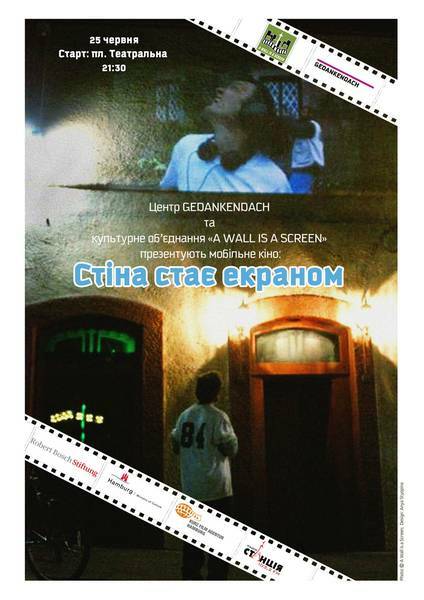 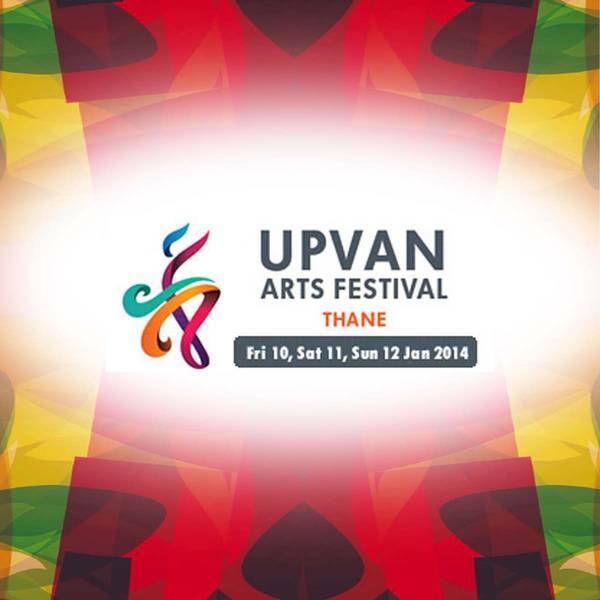 Films by students made on mobile devices. 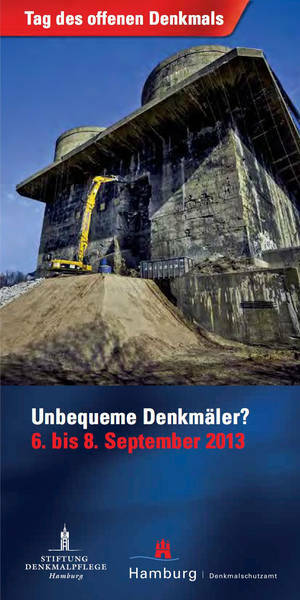 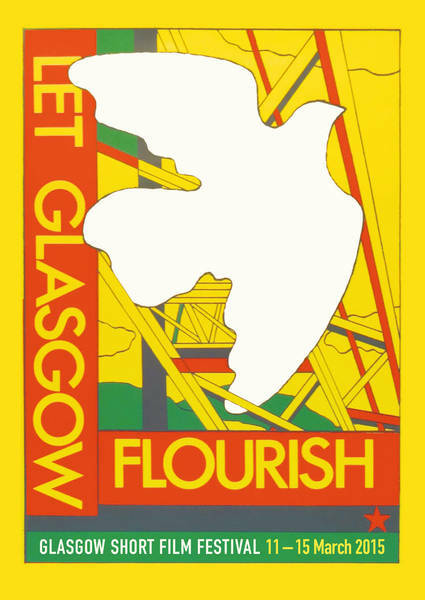 Both tours are part of the official opening programme, the tickets for the museum are € 8,-/5,-. 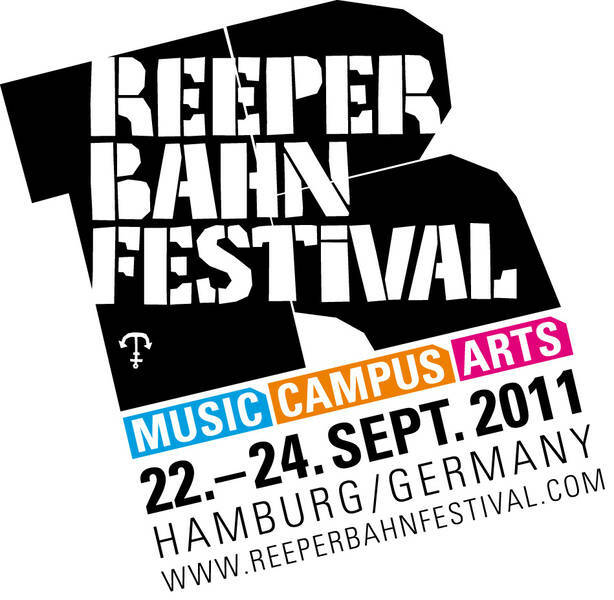 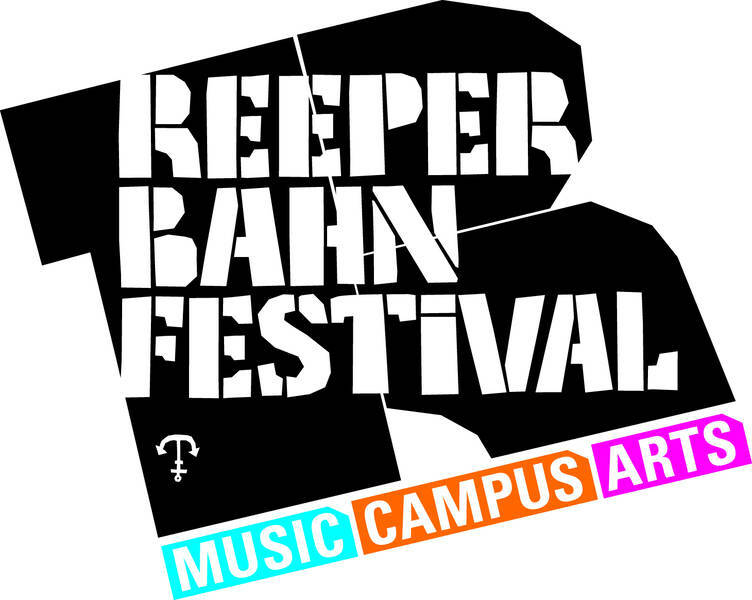 Performance at the Reeperbahn Festival 2012 in Hamburg, Germany. 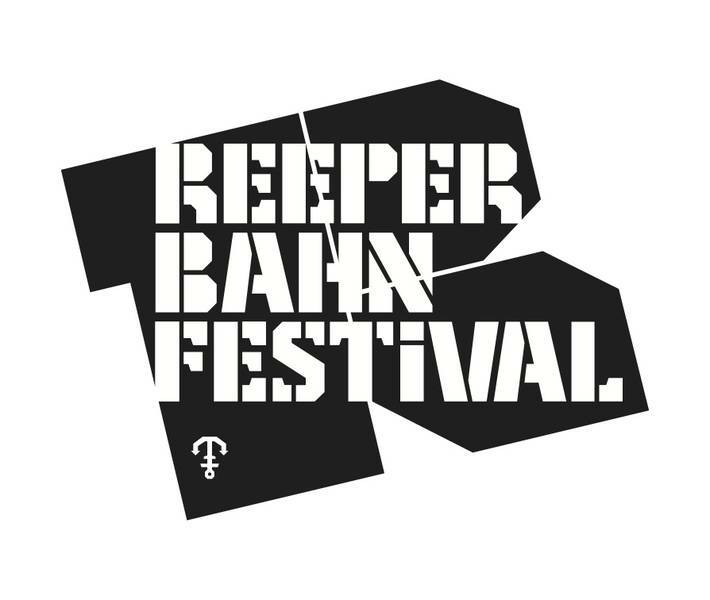 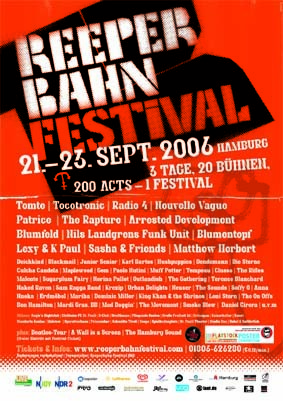 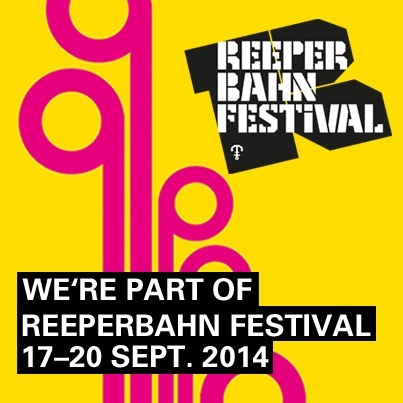 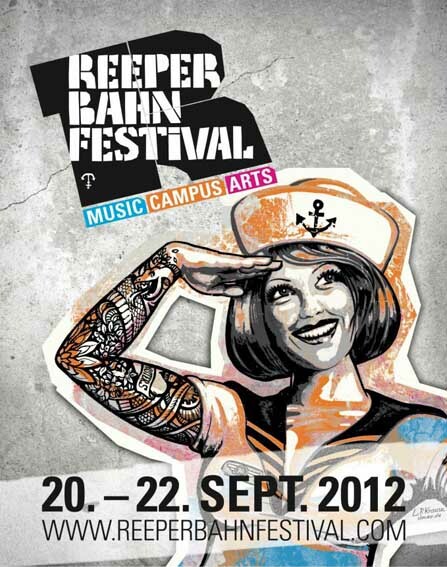 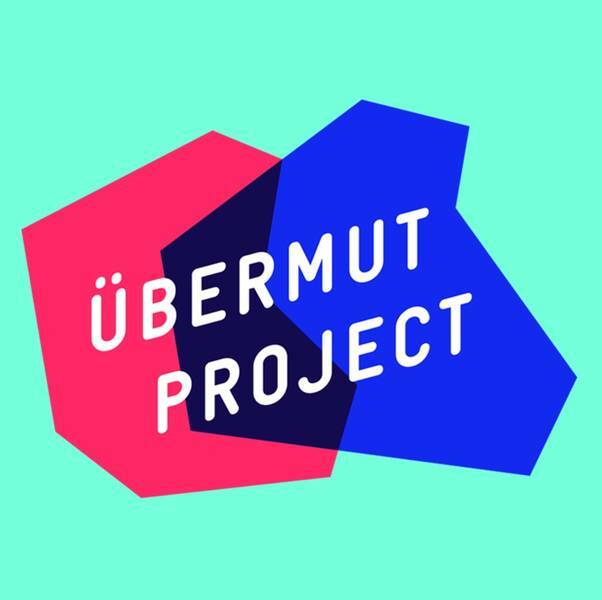 As usual the tour will be without charge and there is no ticket for the Reeperbahn Festival needed to participate. 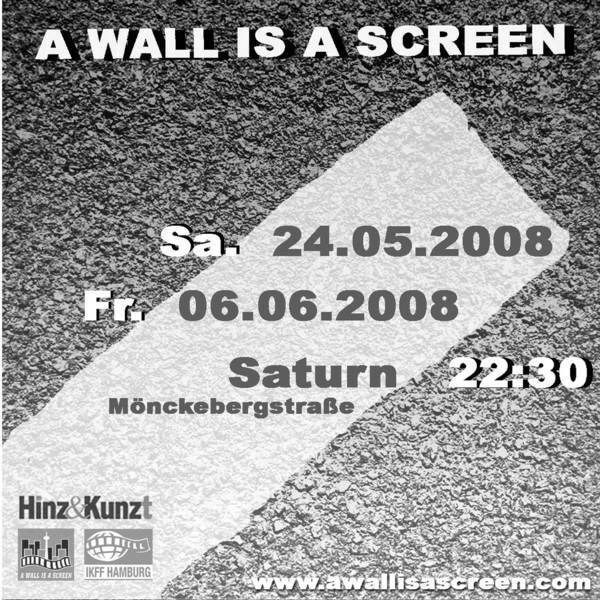 Performance in Münster, Germany in the occasion of Initiative "1Aa - Münster im Fluss"
Performance during the Docpoint - Helsinki Documentary Film Festival in Finland. 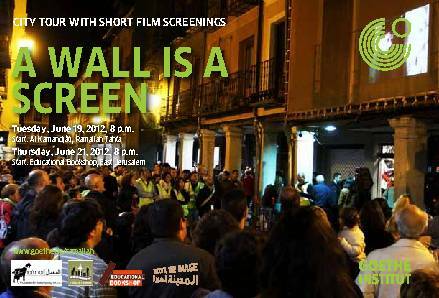 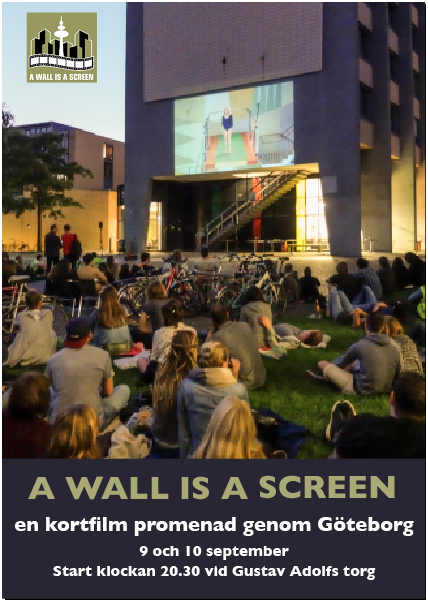 Due to the special circumstances in Mumbai - crowded streets and security concerns - the events have been changed to talks about A Wall is a Screen with some film examples at various institutes and colleges. 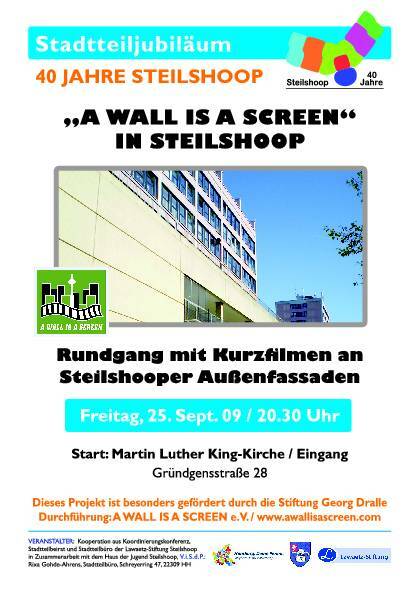 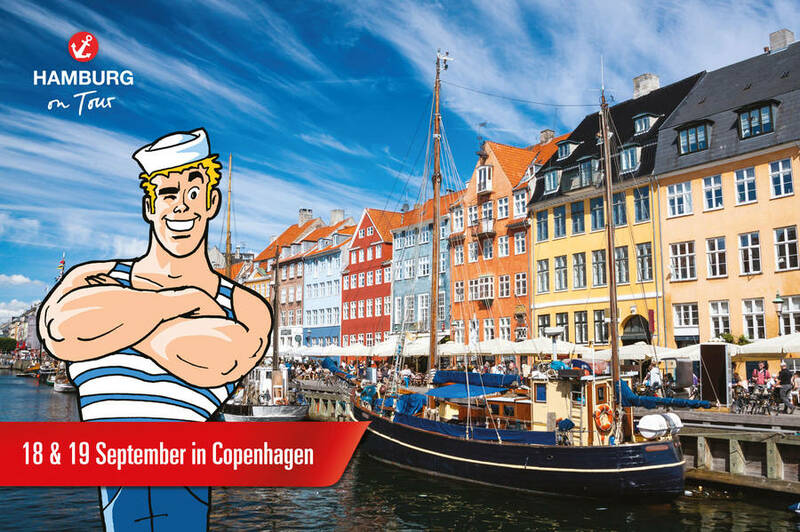 September 30, 20:00 h, Starting Point: Öwer de Hase / Georgstr. 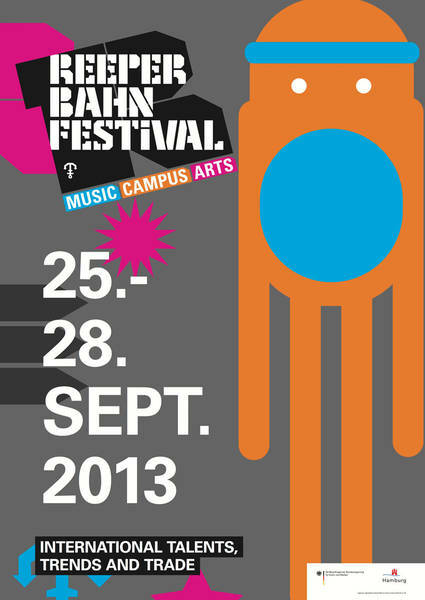 Available at all ticket outlets or through www.ticketmaster.de for € 7,- (excl. 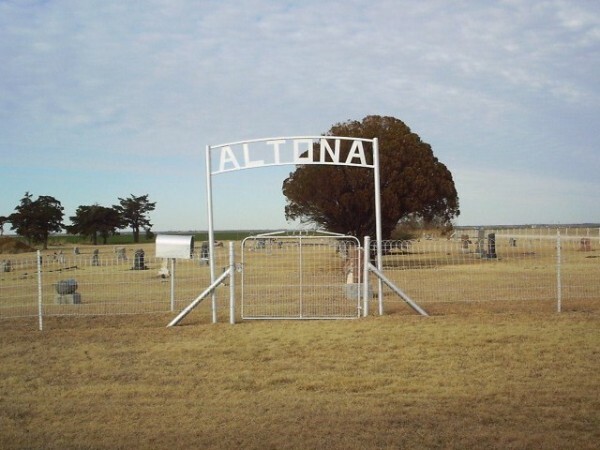 fees). 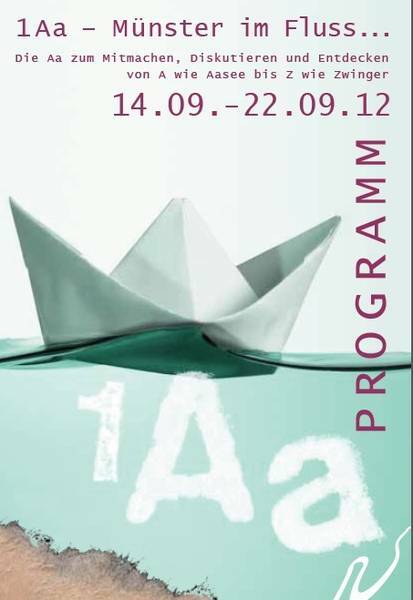 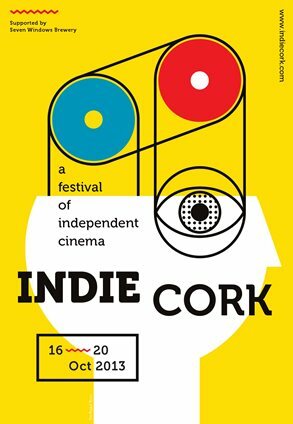 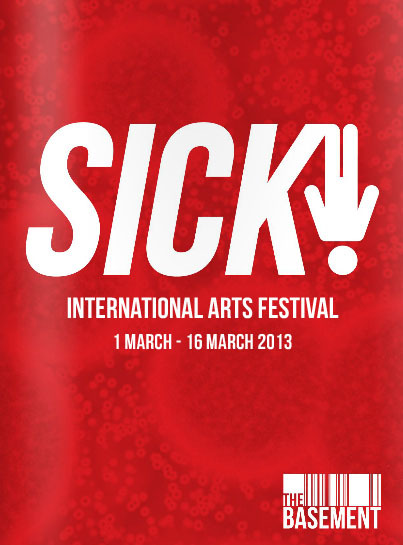 Tickets at the dock will be € 9,-. 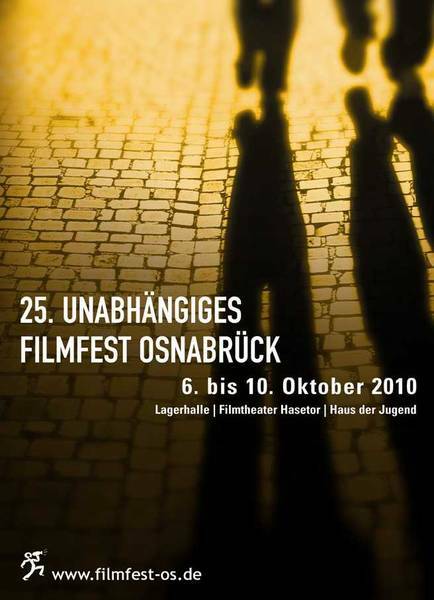 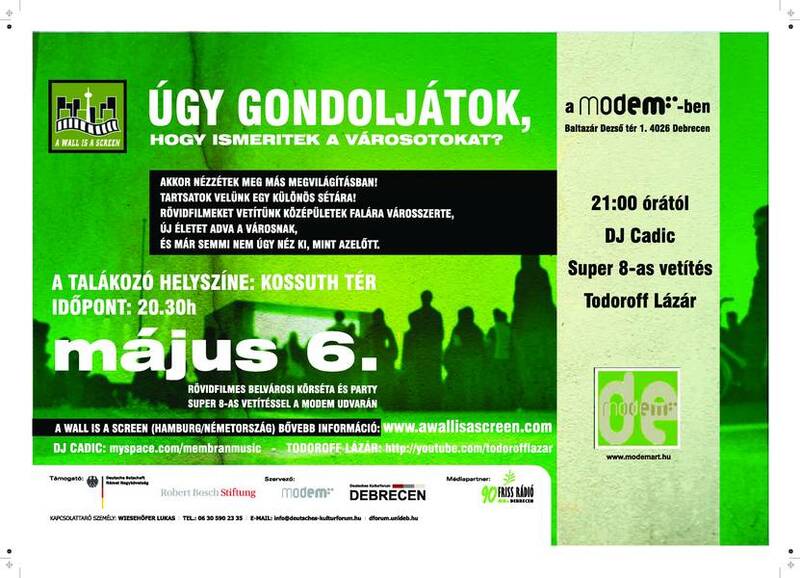 Performance in Czernowitz, Ukrainia in coperation with "Zentrum Gedankendach"
This tour is presented in cooperation with the Kortfilmfestivalen and the "Train of Ideas" from Hamburg, European Green Capital 2011. 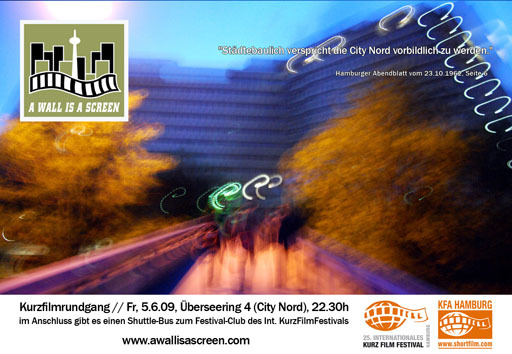 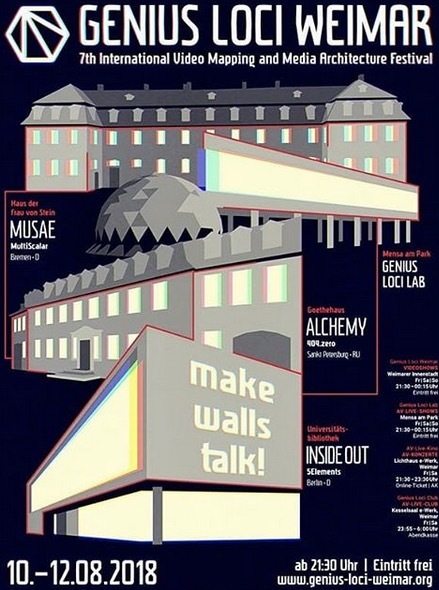 May 7th, Start: 22:00 h, Mainufer in front of "Deutsches Filmmuseum"
This tour is presented in cooperation with the "Train of Ideas" from Hamburg, European Green Capital 2011. 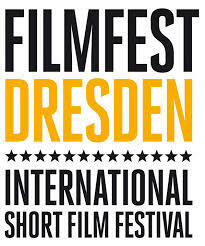 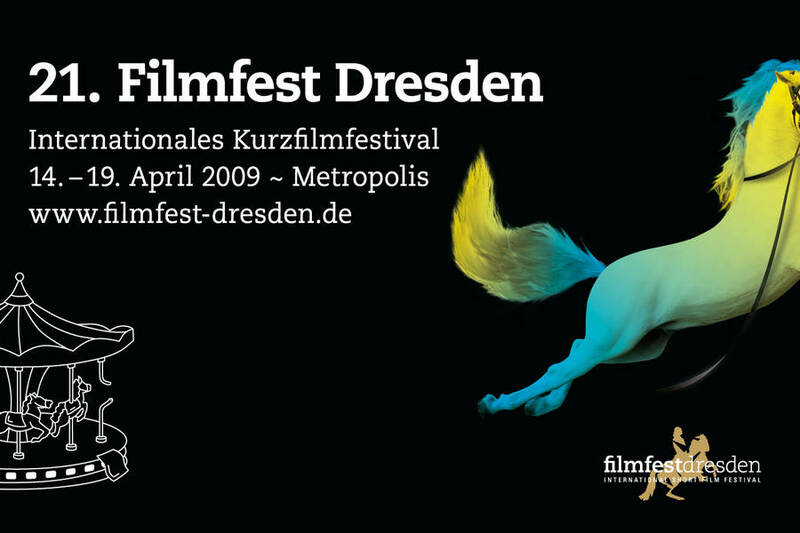 Performance during the Filmfest Dresden in Dresden, Germany. 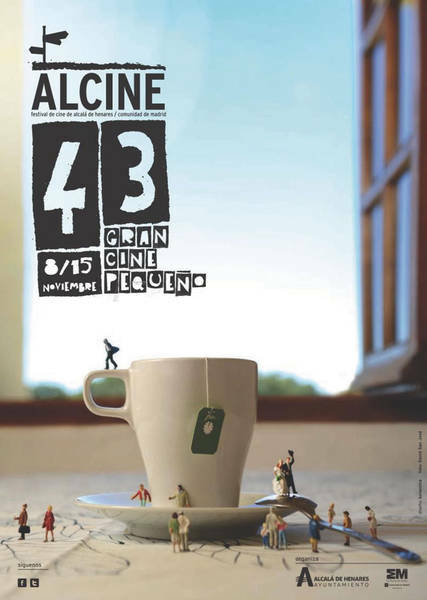 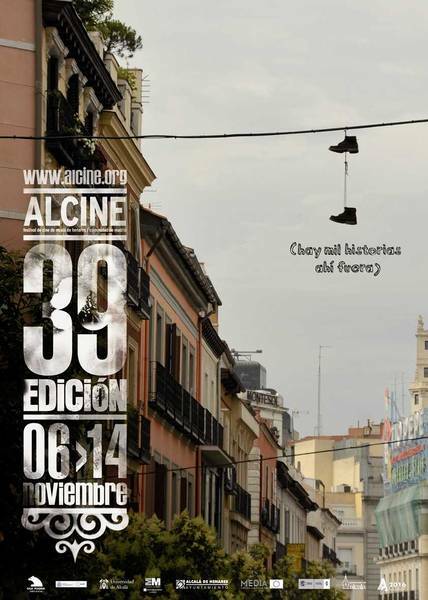 Performances during the Alcine Film Festival. 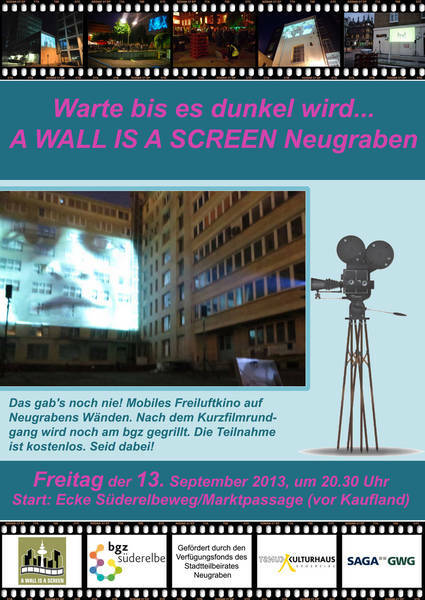 Performance in Hamburg-Harburg, Germany with films by students from Hamburgs schools. 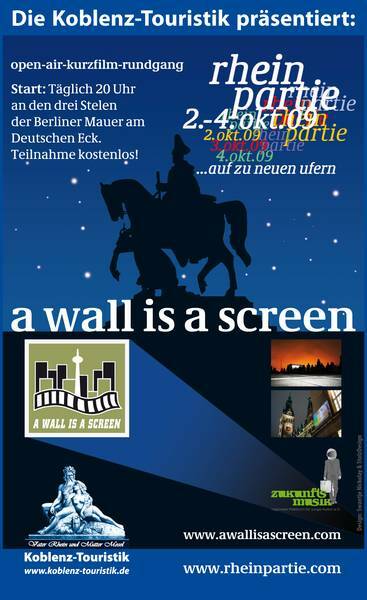 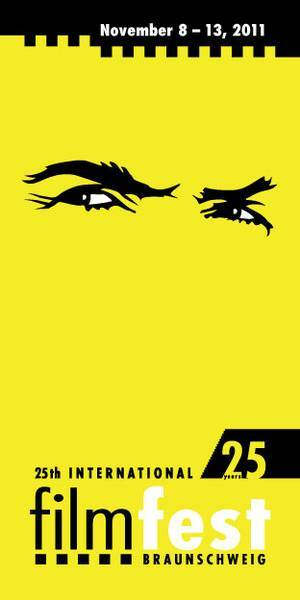 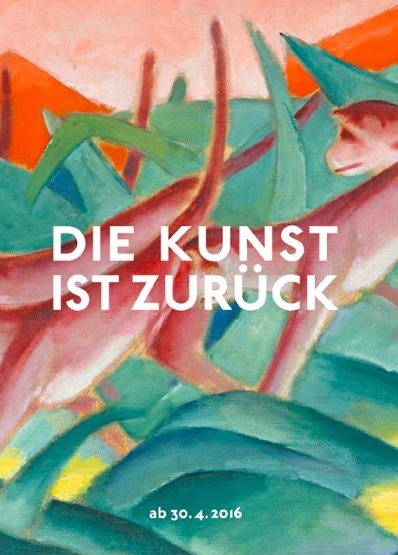 June 25th, Starting point: 22:30, Palast der Republik / Lautenschlägerstr. 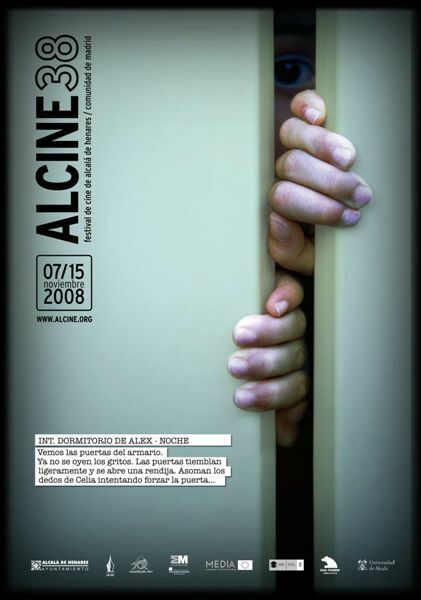 Performance during the Alcine Film Festival. 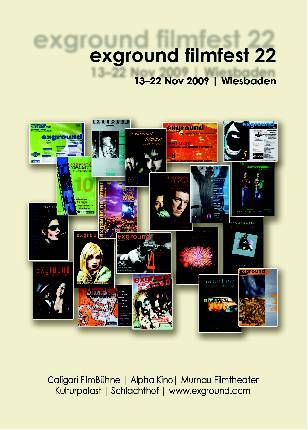 Performance during the Congress of Modern Dance, Kampnagel. 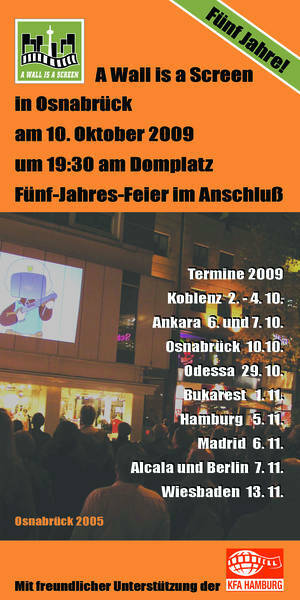 10.10.2009, 19.30 h at "Domplatz"
Meeting point 20:30 in front of Mimarlar Odas? 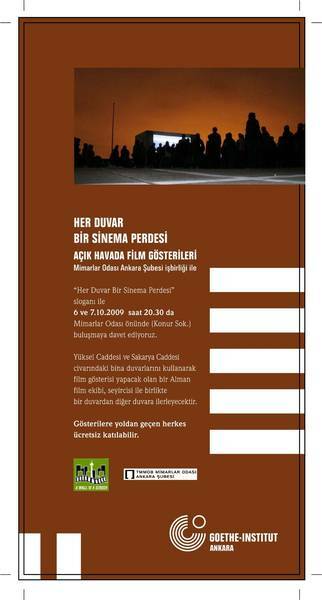 Konur Sok. 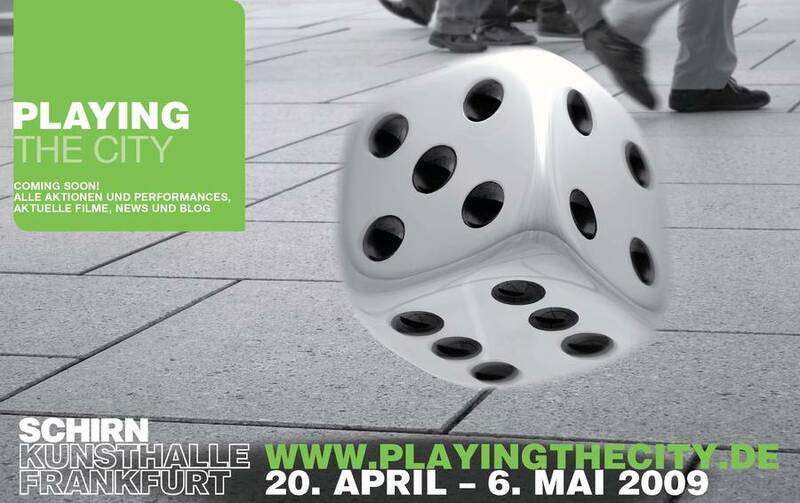 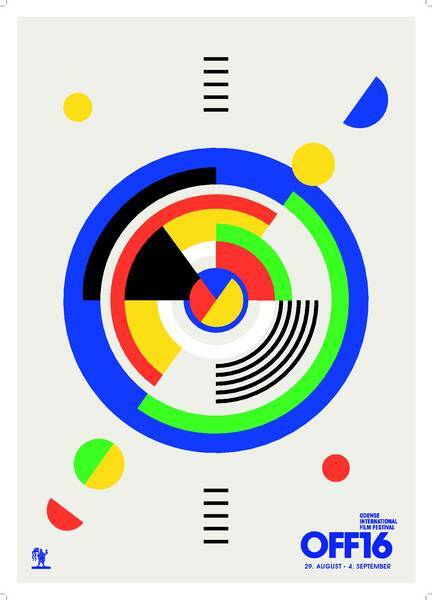 Performance in Wolfsburg, May, 30rd. 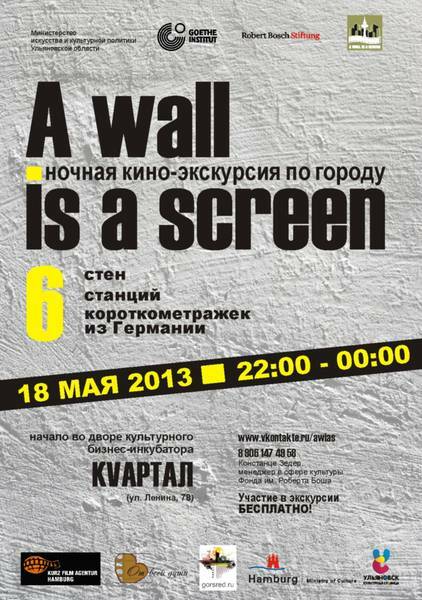 Start at 22:30 at the Phaeno Science Center. 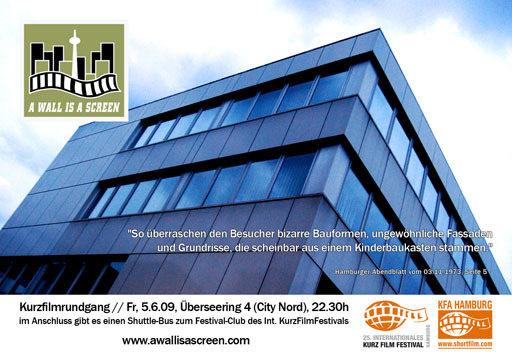 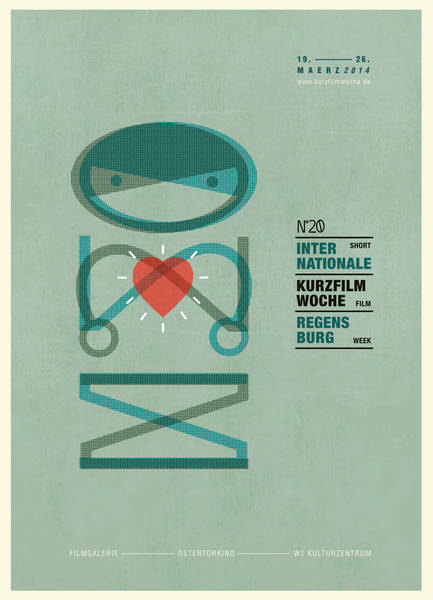 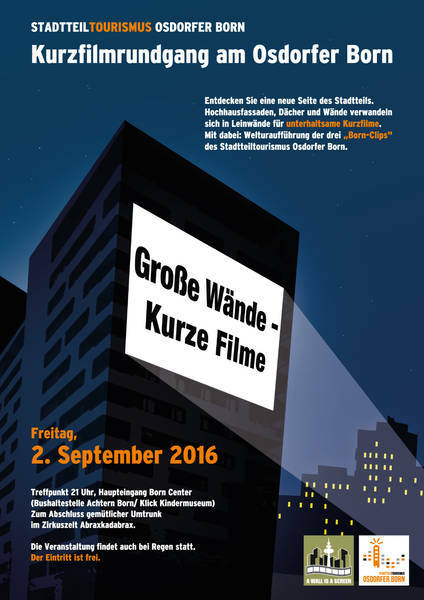 After the tour, the shortfilms BÜHNE:WOLFSBURG und SCHON NACHMITTAG will have their Niedersachsen opening night at the Cinemaxx Wolfsburg. 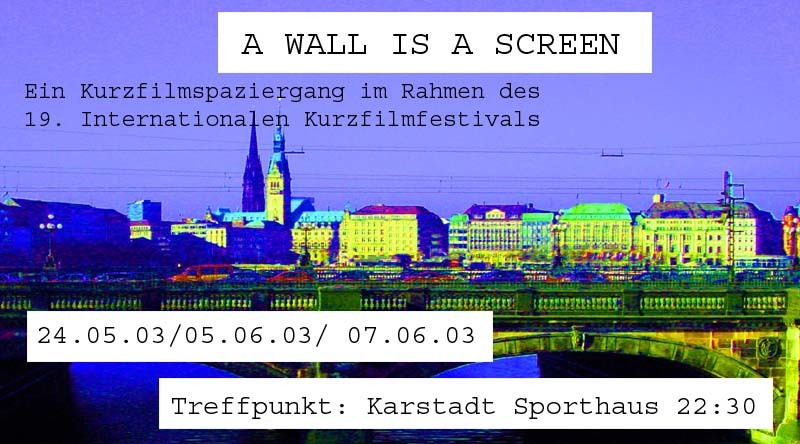 A Wall is a Screen takes place at 1st und 2nd of May 2009. 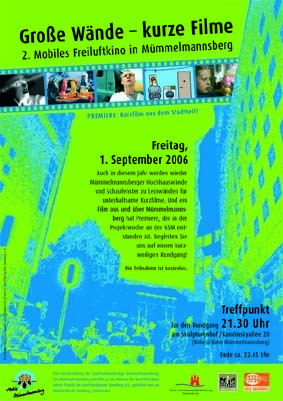 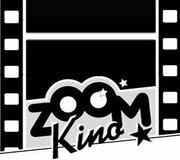 Interfilm Berlin, DVD - Präsentation "Kurz in Berlin"
Friday, juny 2th, Kleine Marienstraße (Nobistor), 22:15. 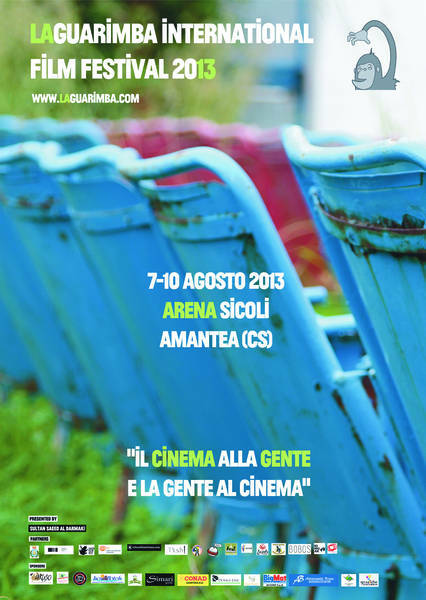 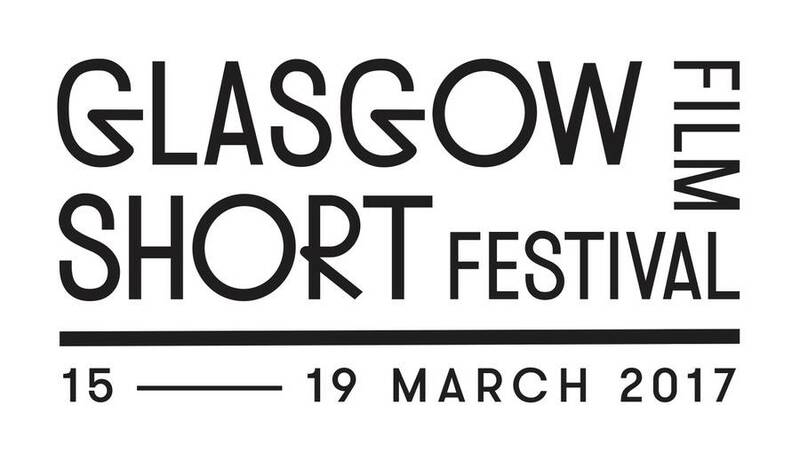 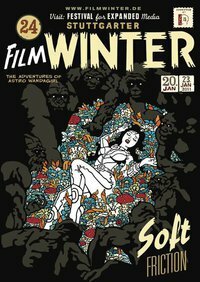 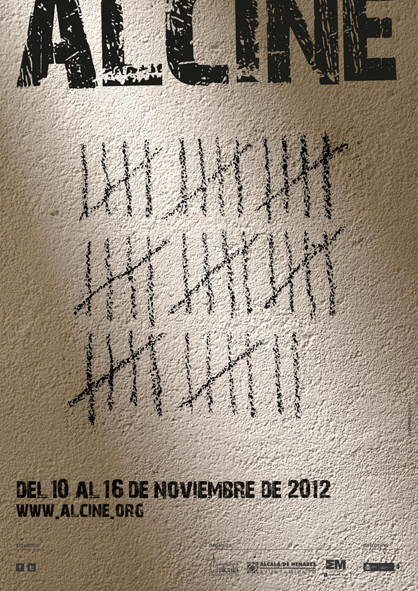 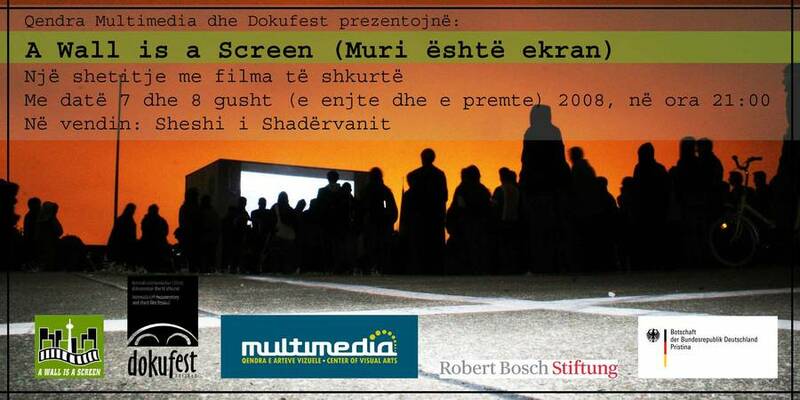 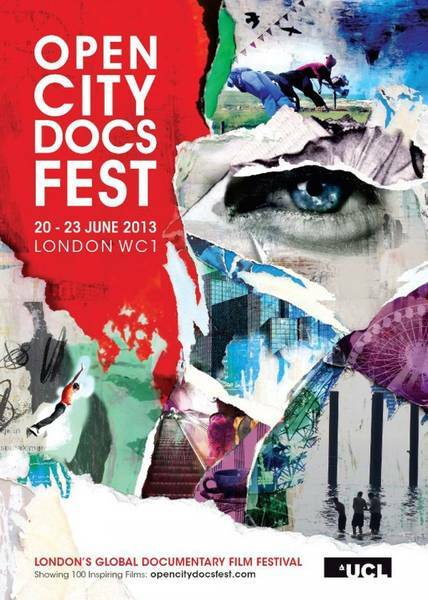 "Offers and ideas for the work with short films"